Lawsuit filed on April Fool’s day. This time it was served with a little publicity. I amended my lawsuit and filed it again on April 1 in the Sedgwick County Courthouse. A reporter talked to me about it and gave me a small write-up for the AP. The Winfield Courier has the longest and most informative. It’s pretty cool and generating a surprising amount of interest. 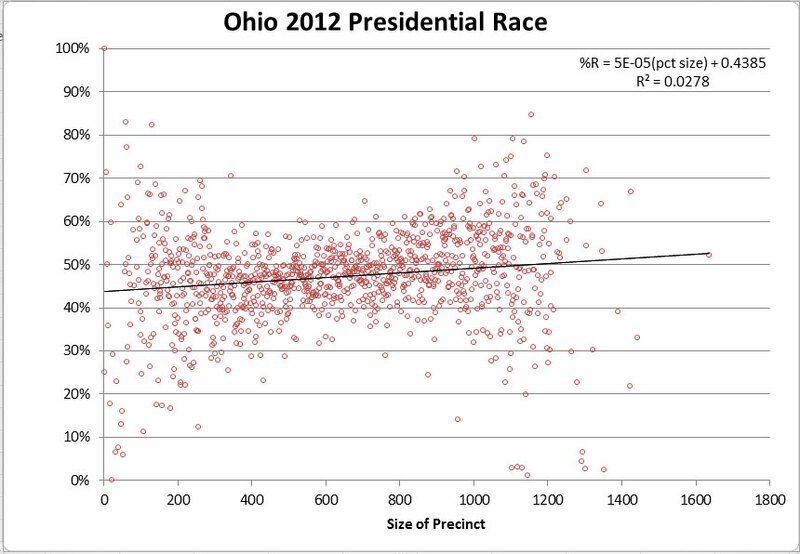 I took another look at the Ohio 2012 Presidential race data. It proves to be another illustration of the pattern I find concerning. In this case, the pattern holds across all the voting units, not just the ones with more than 500 votes cast. How trustworthy are electronic voting systems in the US?